Dreaming to Fly with Thabo Hlalele. No words can describe the level of positivity and motivation Thabo possesses. He is such an inspiring man, always laughing and persevering to challenge himself regardless of the obstacles he faced. 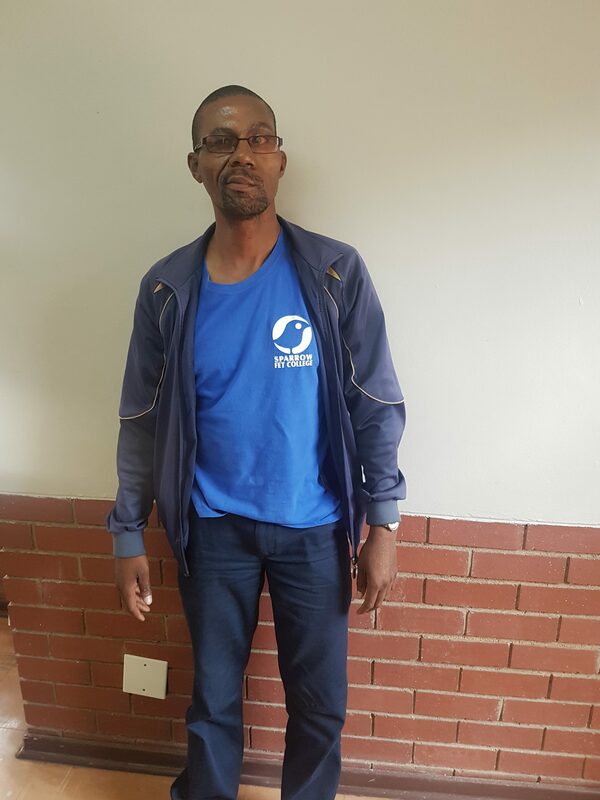 Thabo suffered a severe stroke which left him in a wheelchair, losing mobility in his hands as well as paralyzing the right side of his face. However, this did not limit him at all, he strived to overcome this tragedy and spent a year training himself to walk on crutches and today as I write this story he was able to stand on his own to take a picture. Before attending Sparrow FET, he was vendor selling ladies jewelry and working at the Health Department with general administrative work. He then completed a Business Administration course in 2010 and while considering studying further he heard about Sparrow FET through a friend who completed a painting course with. They then both decided to join Sparrow FET college and became great friends and a strong support system. He says that he is extremely grateful to have a this support system because he does not have any children nor is he married although he believes that those aspects are true blessings and it will be provided God willingly. Thabo decided to complete the End user course in order become self-reliant and independent to aid with his construction business in his neighbourhood. He has become a great motivation to everyone he meets and his advice to anybody with similar circumstances is to never give up, to get an education because knowledge is power. He says that life itself isn’t that hard but the way in which we approach and deal with it depicts what we make of it.